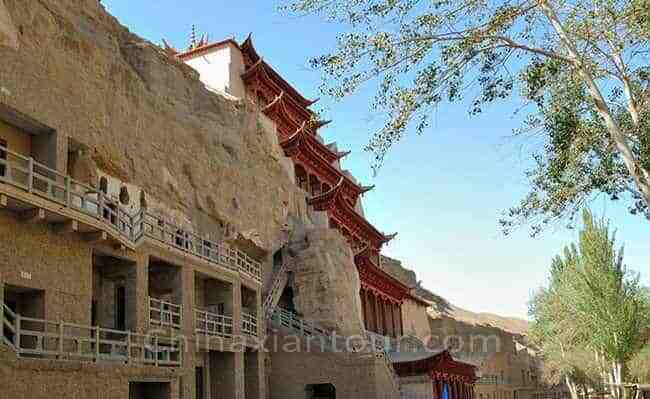 Mogao Grottoes in Dunhuang is world famous as a Buddhist Cultural Relics along the ancient Silk Route. Each people will pay a visit to Mogao Grottoes during their China Silk Road Tour. When you are in the grottoes, you will find the statues and murals in Mogao Grottoes have much rich content that beyond religion. They reflect not only religion, but also economy, folk culture, legend story, agriculture, astronomy, geology, etc. In this blog we’d like to share the murals that reflect constellations. Can you believe in 1000 years ago constellation culture has already spread to China through ancient India? In #61 Cave of Mogao Grottoes, people will see some interesting traditional Chinese paintings that reflect constellations cultures. The #61 Cave was dug in the Five Dynasties Period (907-960) which is 1000+ years till today. Though the cave is very old, the murals about 12 constellations are still well preserved. Here below are some constellation murals, they vividly present figures of the different constellations. Though they are may difficult to understand for Westerners due to culture difference, Chinese people can red their meaning very easily. Those Chinese painters in ancient time use their own way to introduce Western constellation to Chinese people in understandable way. If you have chance to visit this cave, you will witness these cute and vivid murals! Chinese peole name constellation Cancer as Ju Xie which means big crab. 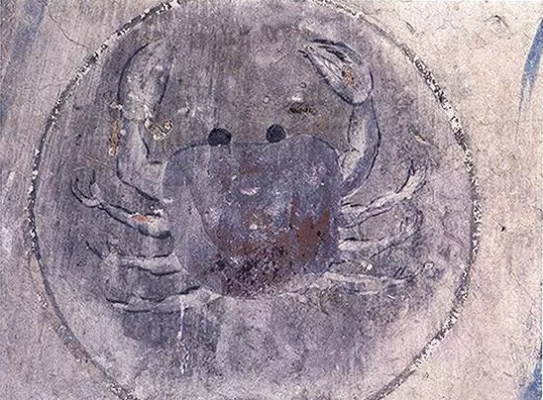 So in Mogao Grottoes Cancer’s picture is a big crab. 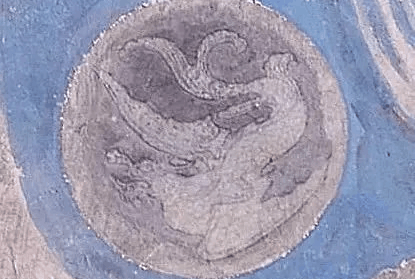 In Western culture, Capricorn is half goat and half fish, but in Mogao Grottoes, the Capricorn was painted hald dragon and half fish. That was effected by Chinese nation’s totem. Chinese peole name constellation Gemini as Shuang Zi which means two boys. 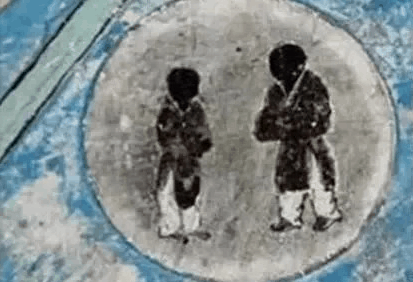 So in Mogao Grottoes Gemini’s picture are 2 boys. In Chinese language Pisces is Tian Cheng which means steelyard, the mural of Pisces is a traditional Chinese steelyard. 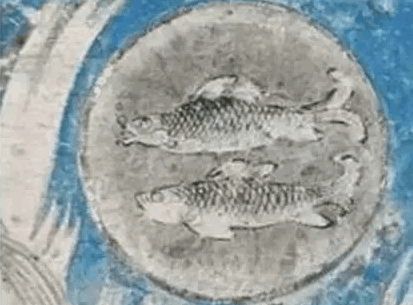 In Chines language Pisces is Shuang Yu which means two fishes. 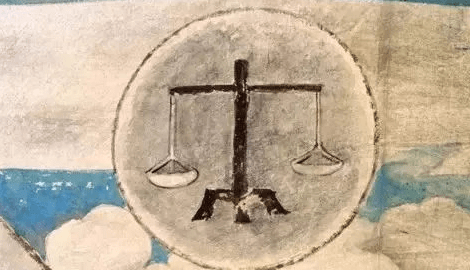 So you can see the anicent paitners use two fishes to stand for constellations Picces. 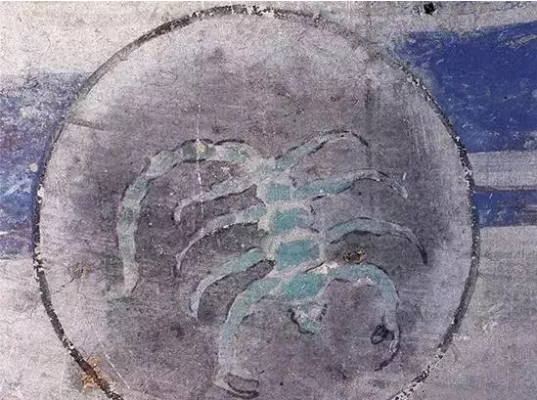 The painters in 1000+ years ago use a scorpiobn to present Scorpio. Chinese people call constellation Taurus as Jin Niu which means ox. 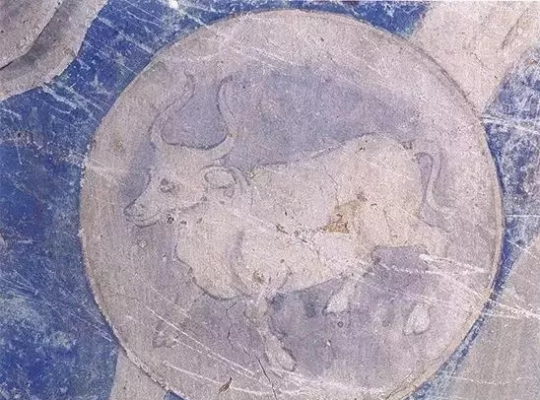 So in Mogao Grottoes Taurus’s picture is a strong ox.